The Hermon and Waterville girls soccer teams have been on a collision course since Day 1 of the season, each dominating their respective conferences. They collide Wednesday in Waterville for the Eastern Maine Class B championship and picking a winner is no easy task. The second-seeded Hawks (16-0-0) have allowed just one goal this season and have scored 79 while top-seeded Waterville (15-1-0) has outscored opponents 91-3. 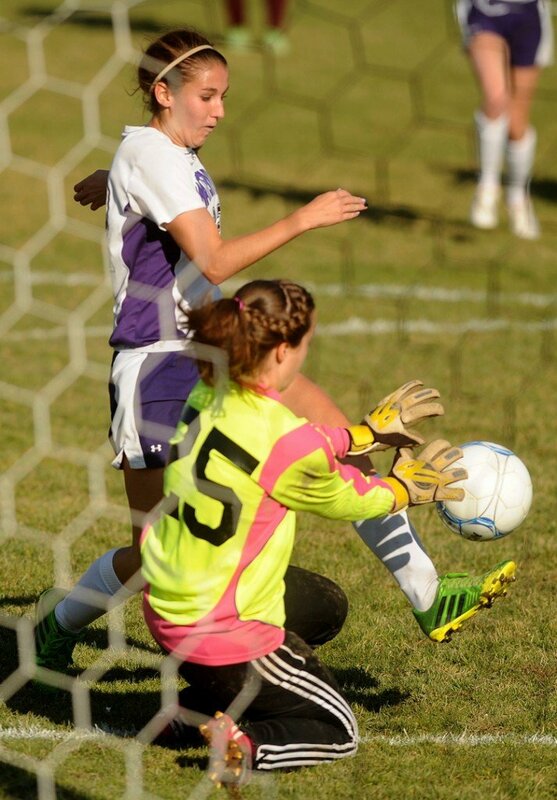 Waterville Senior High School’s Lydia Roy scored 25 goals for the Purple Panthers, who will play Hermon in the Eastern B regional final Wednesday in Waterville. The teams played at preseason game in Hermon with the Hawks coming away with a 1-0 victory. Since then, they’ve generally faced opponents who packed in their defenses and hoped for a break. That won’t be the case today. Hermon won the regional championship last year before losing 2-1 to Falmouth in the state title game while Waterville competed in Class A last season. Both teams are deep and balanced and feature standout scorers. Hermon senior Kaitlin Saulter has 26 goals and 14 assists and is a first cousin to Waterville defender Jayme Saulter. “She’s a game-changing type player,” Wilson said. 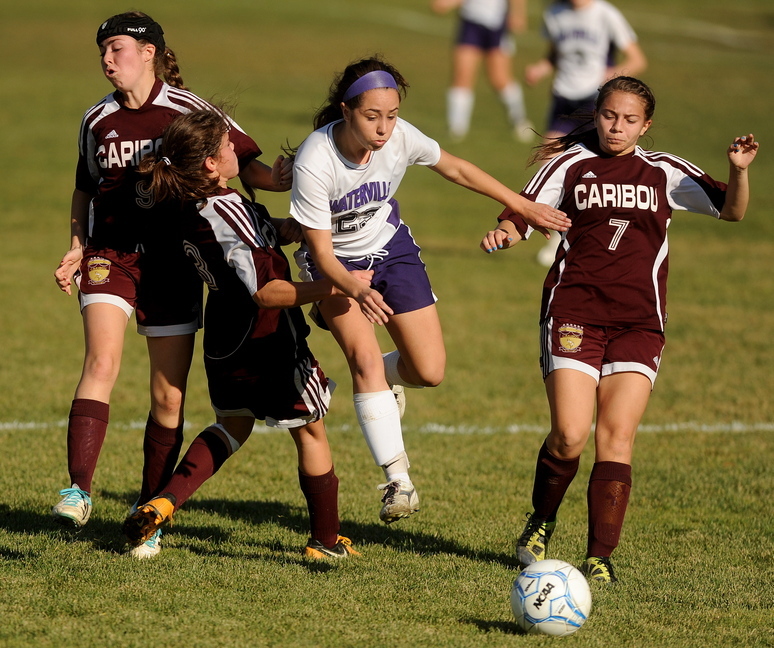 The Purple Panthers have a game-changer of their own in junior Pilar Elias who has 44 goals and 15 assists. Teammate Lydia Roy has 25 goals and nine assists while Sarah Shoulta has 17 assists. Neither Hermon’s Bryanne Crouse nor Waterville’s Gabi Martin, both sophomores, were particularly tested in goal this season, but Wilson said one of his assistant coaches concentrated solely on goalkeeping in practice. “Some of those regular season games don’t prepare us for teams like Waterville,” Leach said.